Get organized! The fast-paced fuel oil delivery business calls for companies that have their act together. If you still draw up routes by hand, invoice via paper, and schedule offline, you need to consider adding fuel oil delivery software to your retinue. Smart Service will help your home heating oil company schedule, dispatch, and bill for work electronically. Get in on the action today! In the fuel delivery business, scheduling and routing is the name of the game. When you start out, you can get away with setting up schedules by hand, but as your business grows, more sophisticated tools become necessary to deal with the increasing workload. Smart Service gives your team an easy, reliable, intuitive scheduler. Routing tools help you optimize travel times and get more out of every work day. With Smart Service, recurring work becomes a snap. Learn more. 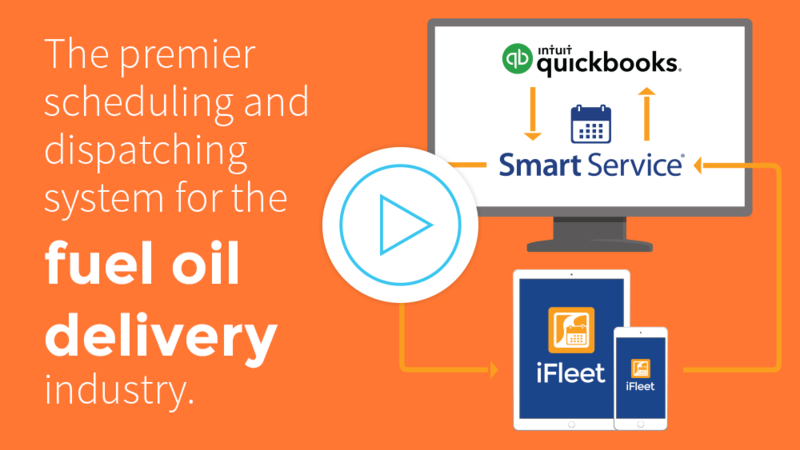 Smart Service fuel delivery dispatch software enhances the power of your office, extending your reach out into the field. Set up a job in the office (even a recurring job), and all the details (including customer info and service history) travel electronically to your driver’s mobile app. This keeps your team connected, and make it easy to update, modify, change, or cancel plans throughout the day. Learn more. Looking for the fuel oil delivery app that will make every job easier and more efficient? You came to the right website! The Smart Service mobile app digitizes your work orders, putting them on your team’s phones and tablets, along with schedules, customer info, and all of the forms they’ll need to get the job done. Once work begins, Smart Service will start to populate the work order that will ultimately become your customer’s final invoice. Everything stays in the same system, everything stays organized, everything just works. Learn more. Make your fuel oil delivery dreams come true with Smart Service. Check out some takes from our satisfied customers! Keep your home heating oil business on track with these slick tips!